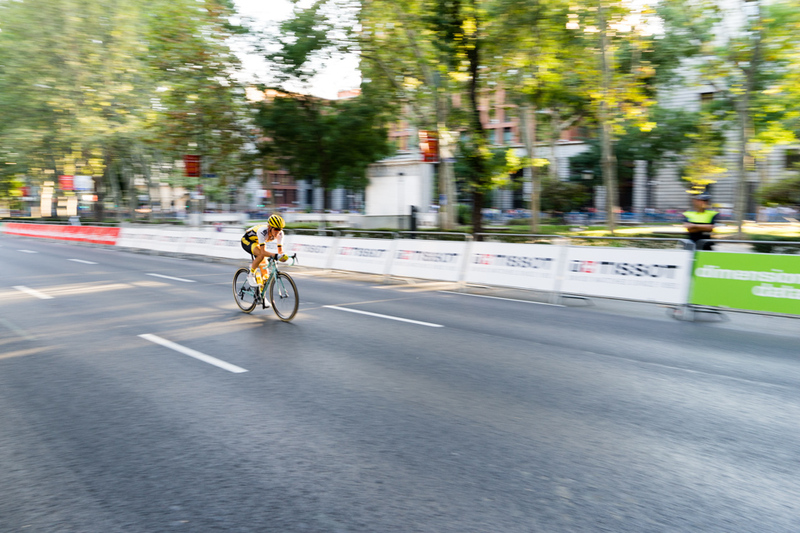 Last weekend the Spanish “La Vuelta” came to a close with a massive sprint on the streets of Madrid. 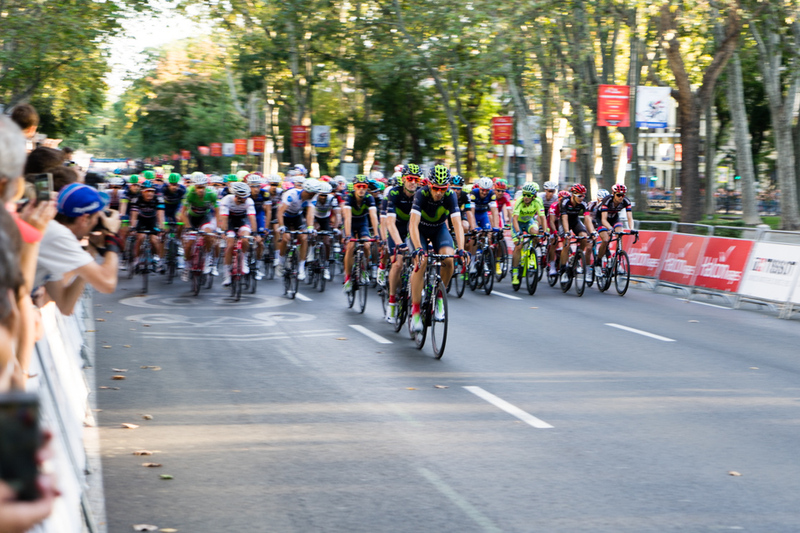 As a now resident of this beautiful city I took the opportunity to view the cyclists ride about 8 laps over Paseo del Prado, towards the finish line. 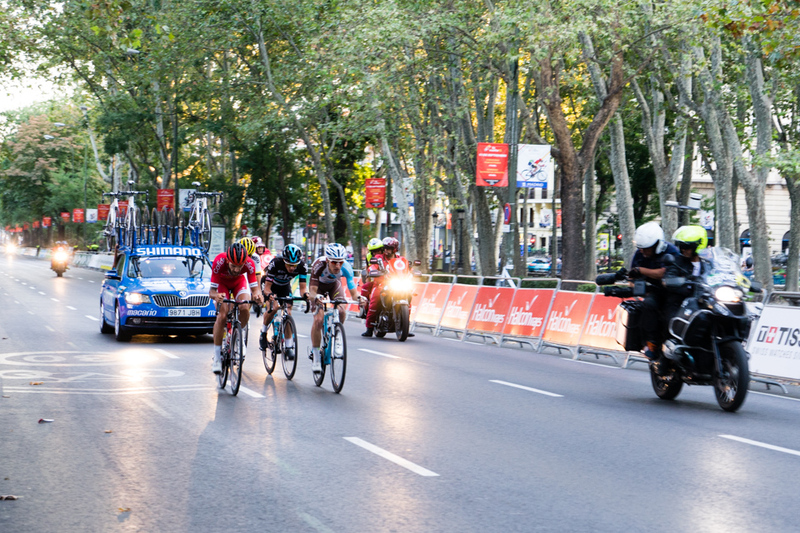 Loïc Chetout (Cofidis), Peter Kennaugh (Team Sky) and Quentin Jauregi (AG2R La Mondiale) were the first three riders to leave the peloton and try for a break. Koen Bouwman (LottoNL – Jumbo) trying to find a connection with the fugitives from the peloton. 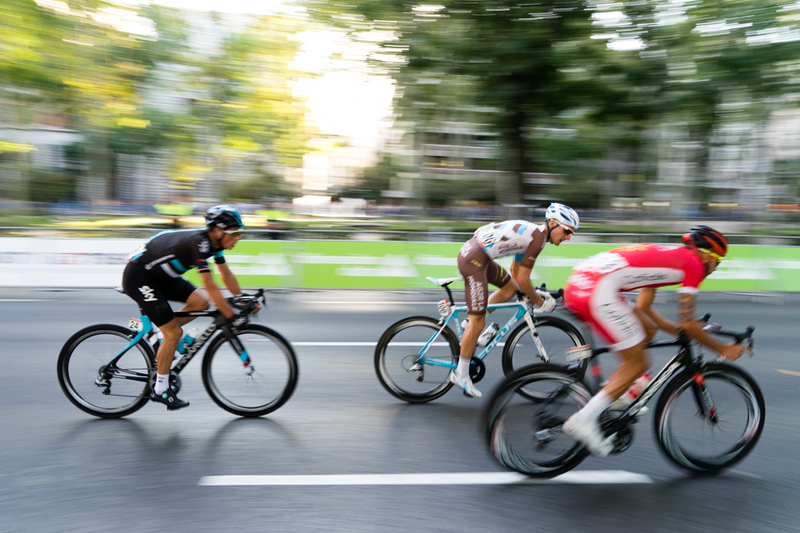 Loïc Chetout (Cofidis), Peter Kennaugh (Team Sky), Quentin Jauregi (AG2R La Mondiale), and Koen Bouwmand (LottoNL – Jumbo) were outrunning the peloton for quite a while, yet in the last few rounds got reeled in. They managed to create 1’05 minute gap. 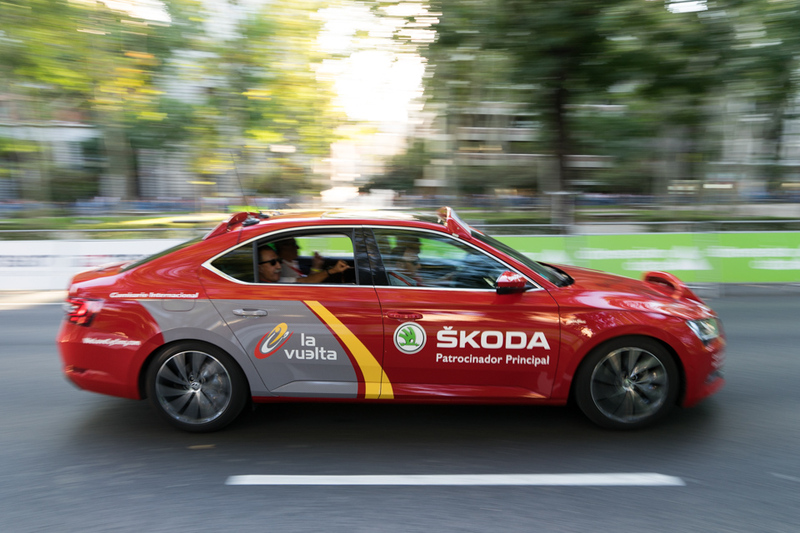 The drivers of the Vuelta Skoda’s were flying around the circuit as if on a race track.